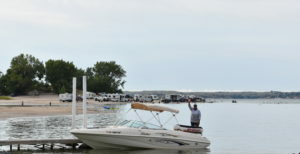 ATTENTION RENTERS: NEBRASKA STATE LAW NOW REQUIRES ANYONE BORN AFTER DECEMBER 31, 1985 HAVE A BOATERS SAFETY CARD TO OPERATE AND MOTORIZED VESSEL ON NEBRASKA STATE WATERS. These can be obtained online through Colorado or Nebraska state web sites. All drivers/operators need to be over 18yrs old & need to come with renter for check-in as a boater safety checklist is required to be on file with every rental. This is in addition to the above required certification for the state of Nebraska. (No Towing with Jet Ski’s Allowed). Towing IS Allowed – No pets allowed on ski boats. Towing is NOT allowed with 21’ Pontoon. Towing Is Allowed on 23’ Tritoon. The maximum persons allowed on each vessel is not negotiable, it is figured by the US Coast Guard for your safety. Any rental that is caught with over the maximum persons allowed, we will terminate the rental with no refund. Pets are allowed on Pontoon Boats only (not ski boats) RENTERS ARE RESPONSIBLE FOR CLEANUP AND DAMAGED CAUSED BY PETS. CLEANUP FOR PETS $50 PER HOUR AND 1 HOUR MINIMUM. FUEL IS NOT INCLUDED IN RENTAL. All rentals will go out full and will be refilled at time of return of rental for cost at the marina pump. RENTAL CONTRACT REQUIRED, DRIVERS LICENSE AND CREDIT CARD FOR RESERVATION REQUIRED. THERE WILL BE A $50 CANCELATION FEE IF RESERVATION IS CANCELED LESS THAT 24 BEFORE RENTAL. 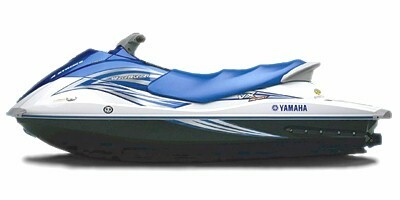 A $500 credit card security deposit is required when renting two or more jet skis. You may still pay in cash however credit card is for damage if incurred. All rentals are inspected prior to and after rental with renter and marina employee. The renter will be given proper training of care and usage of rental equipment prior to embarking. We pride ourselves on making sure you will have a great experience before, during, and after your rental. 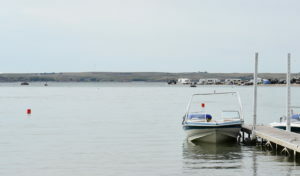 We will give you proper training on the vessel you rent from us and make sure it is in proper working order for a safe enjoyable time on Lake McConaughy.